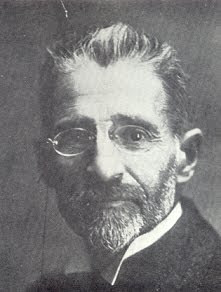 Eliezer Ben-Yehuda, the father of modern-day Hebrew, has been honored by Israel as the leaders of the Jewish state declared Ben-Yehuda's birthday as Hebrew Day, a day when the Jewish people reflect on how one man could almost single-handedly revive the language of the ancient Jewish people. Ben-Yehuda, in the late 1800's and early 1900's, was one Jewish man living in Israel that believed the chosen people living in God's chosen land should speak God's chosen language and he developed the method of teaching Hebrew to all new immigrants arriving in Israel. Hebrew, a dead language, is now spoken daily by the Jewish people in the Jewish state of Israel, a fact that has an interesting connection to Bible prophecy. The fact that Hebrew, the national language of the state of Israel, is the spoken language of the Jewish people today, is in line with what Bible prophecy calls for in the last days. As the Jewish people celebrate Hebrew Day in Israel, every Jewish person has thought through the process that brought about the revival of what was considered a dead language. For almost 2000 years, the Hebrew language was not used for daily conversation, commerce, or education. As a young married man living in Israel, in the Biblical city of Beersheva, Eliezer Ben-Yehuda first taught his young family to speak Hebrew, then the neighbors, and finally all of the Jews living in Israel. Ben-Yehuda developed a dictionary of the new Hebrew words that he would have to create and even set in place the "Ulpan" which is the training center to help Jewish people learn to speak their mother tongue. The Jewish people speaking Hebrew today in Israel is an evidence that Bible prophecy is in the process of being fulfilled. Jeremiah, the ancient Jewish prophet, wrote that God would give the Jewish people their language again when the Lord brought them back home to Israel (Jeremiah 31:23). Zephaniah, another Jewish prophet, also wrote of the Jews speaking a pure Hebrew language in the days of the end times (Zephaniah 3:9). Jewish people celebrating Hebrew Day in Israel is indeed evidence that Bible prophecy has and will be fulfilled.